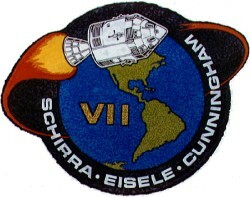 Apollo 7 was the first manned flight of the Apollo spacecraft with astronauts Walter Schirra, Jr, Donn Eisele, and Walter Cunningham on board. It performed earth orbit operations. 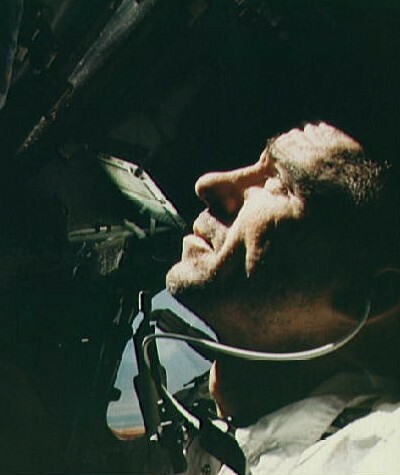 During the mission, the crew made the first live television transmission from space. 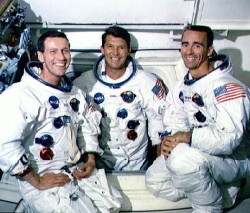 Apollo 7 was launched on a Saturn IB booster. The Command Module is on display at the National Museum of Science and Technology, Ottawa, Canada.